The world is going through a workplace revolution that will bring a seismic shift in the way humans work alongside machines and algorithms, according to new research by the World Economic Forum. 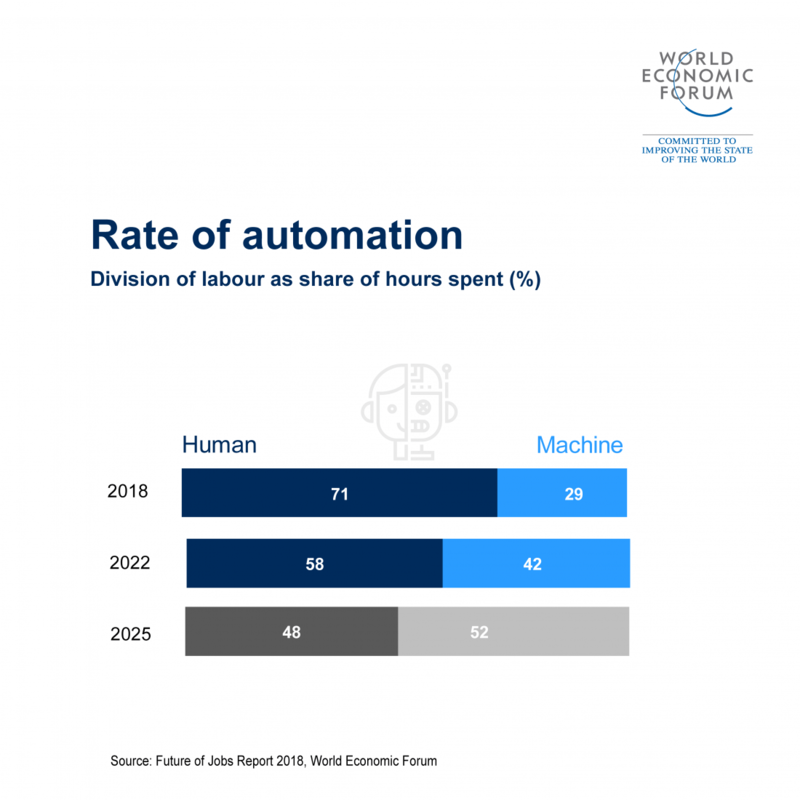 By 2025 more than half of all current workplace tasks will be performed by machines as opposed to 29 percent today. 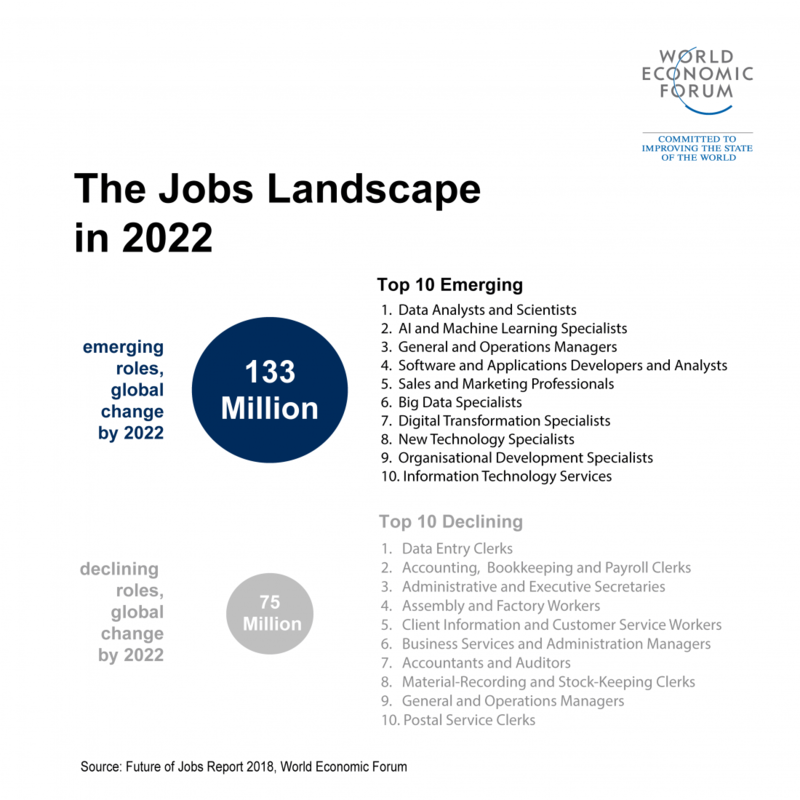 Such a transformation will have a profound effect on the global labour force, however in terms of overall numbers of new jobs the outlook is positive, with 133 million new jobs expected to be created by 2022 compared to 75 million that will be displaced. 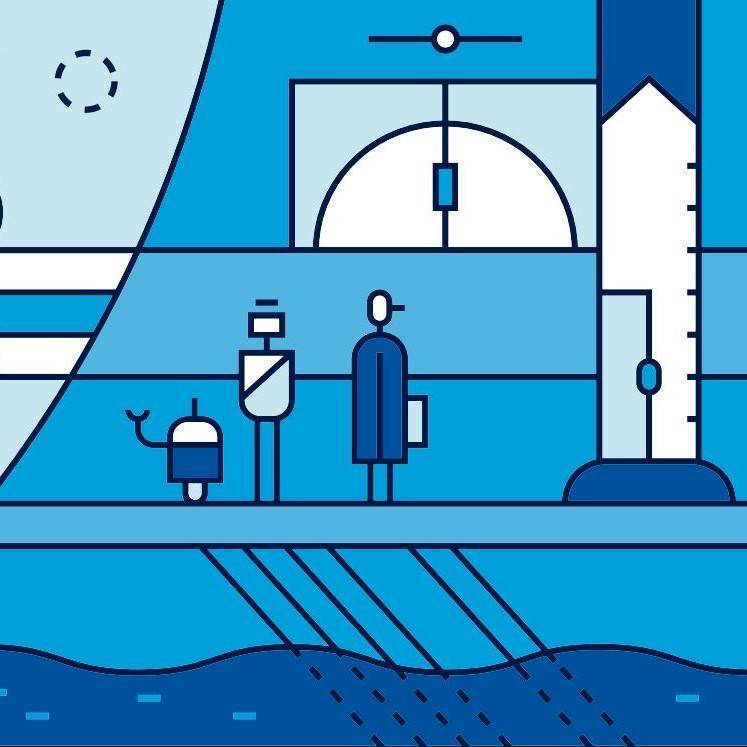 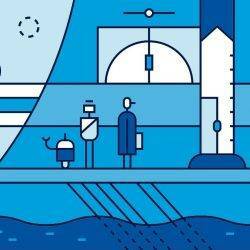 The research, published in The Future of Jobs 2018, is an attempt to understand the potential of new technologies to disrupt and create jobs. 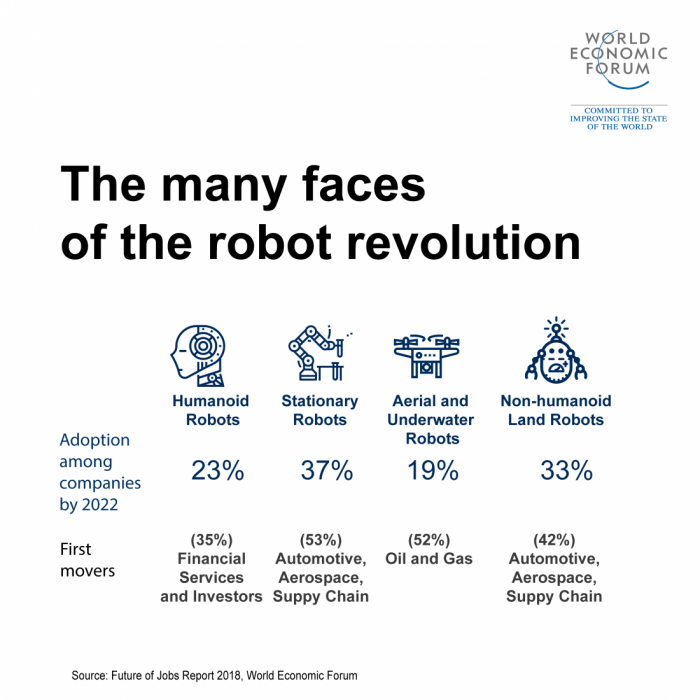 It is also seeks to provide guidance on how to improve the quality and productivity of the current work being done by humans and how to prepare people for emerging roles.